A few months ago, I had the pleasure of installing and configuring a VPN link between an outdated Linux box and a Sonicwall TZ170. Oh the joys I had in getting this to work .. The Sonicwall device was located in a data center, whilst the Linux machine was located in an office protecting a 192.168.0.0/24 network, and my task was to join the two devices using IPSec. The best way to illustrate this setup is by displaying the configuration files. As an example, the following are the IP addresses used in the config samples. The Linux server is running Debian so a simple “apt-get install ipsec” had IPSec installed in no time. Initially, I decided to use a simple preshared password for authentication. PLEASE NOTE the order that my ipsec.secrets file is displayed, there are many articles on Google which flip the left and right sides around. 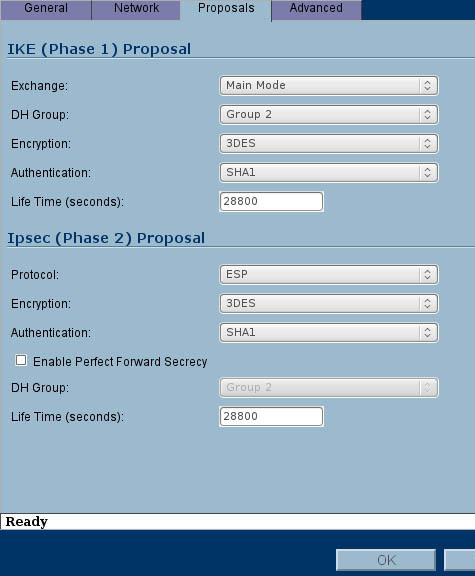 Please note, even one incorrect setting will render your IPSec connection useless so triple check everything. 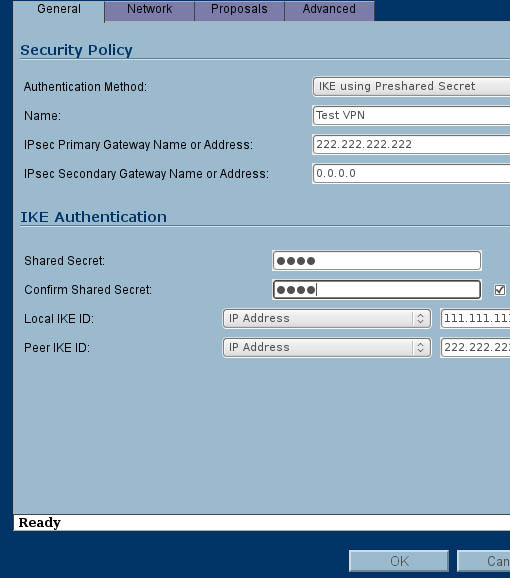 Once logged into the Sonicwall TZ170 device, click the VPN menu then click the “Add” button. To get this point-to-point VPN working with a Linux server using IPSec, you MUST use the exact details in the following diagrams. Simply substitute 111.111.111.11 with the Public IP of the Sonicwall device and substitute 222.222.222.222 with the Public IP of the Linux server. Hopefully you see something like; (The main part to look for is the “established” part.